Master planned community in Wake Forest with a 15-acre, spring-fed lake at its center. Featuring a wide range of amenities including natural play areas and over 35 acres of open green space. A new living option in Wake Forest, NC, that reminds you of the joy of wholesome, simpler times. Roam where you want to. Our 3 miles worth of walking trails connects you to the Wake Forest greenway system and provides a much more scenic route to local schools and parks. What other community in Wake Forest has a nature-made 13-acre lake as an amenity? Holding Lake is a perfect place to kayak, skip stones or exercise Spot. 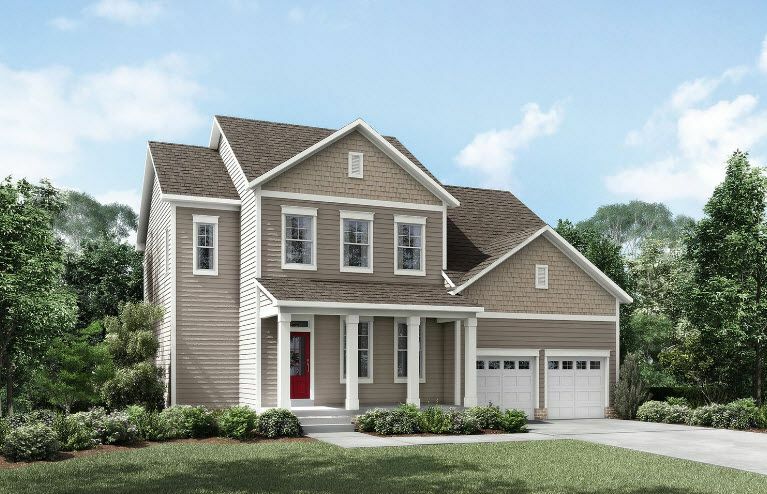 Developed by Reader & Partners, Holding Village is located on the site of the former Holding family dairy farm in Wake Forest and recently kicked off its second phase of development. The master-planned community will contain up to 1,350 residential units, with new homes ranging in size from 1,875 square feet to 3,558 square feet and priced from the mid $200,000’s to the $500,000’s.